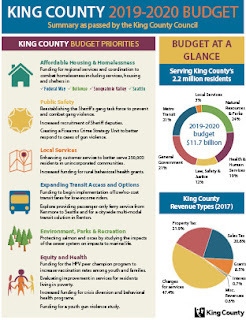 The County council completed eight weeks of deliberation on the proposed 2019-2020 King County Budget with Tuesday’s unanimous adoption of the $11.7 billion budget. The restoration of the gang unit, a vital law enforcement tool for communities affected by gang violence. For more information, visit the budget page.